Three for the price of one! 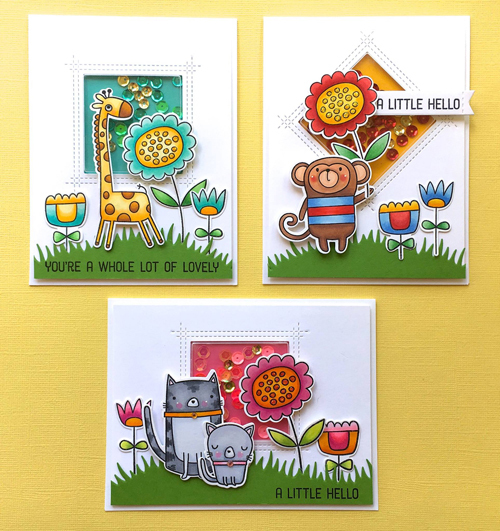 Lynn's awesome trio features a variety of MFT critters paired with our fabulous Square Peek-a-Boo Window Die-namics and shaker pouches. 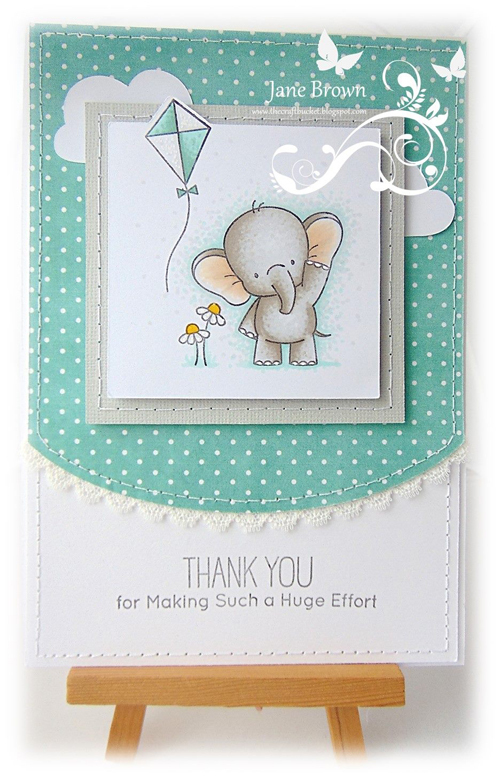 Did you spot how she switched things up by positioning the window at a 45° angle on one of her cards? It's an easy decision to encourage youg readers with the sweet Our Story set. Take a cue from Toni and keep you bookworms excited and engaged with cards and bookmarks featuring the adorable characters included. Those colors. Amy's scene is bold, vivid, exciting, dare I say Out of This World? The idea I'm going to file away is that subtle glow Amy has added around her elements - so brilliant! When was the last time you joined in one of our Sketch or Color Challenges? I don't know about you but I find myself most enamored of the projects I create under the pressure of meeting challenge guidelines. Digging deep to interpret a layout or palette so often results in my most favorite finished projects! 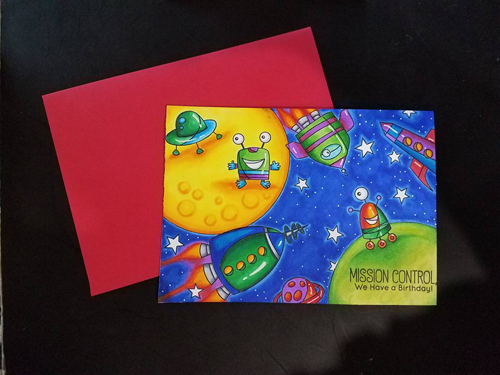 Jane's card was inspired by our most current sketch - there's still some time to share your own project — if you miss this one though, don't fret because we'll have a brand new one tomorrow! Sometimes the most memorable looks are the most basic of designs. 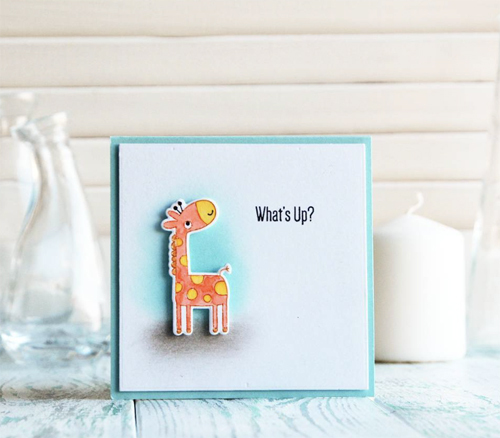 Natasha's sweet giraffe features unexpected color, the easiest blended backdrop, and a universally welcome greeting. Simple and unforgettable. Oh, thank you so much! I'm literally dancing around the kitchen, smiling from ear to ear 😊 Like right now, while typing this! You made my day! Such a joy to be among all these amazing crafters! How Fun! Thank you so much for Spotting my cards and highlighting them here, it's an honor!